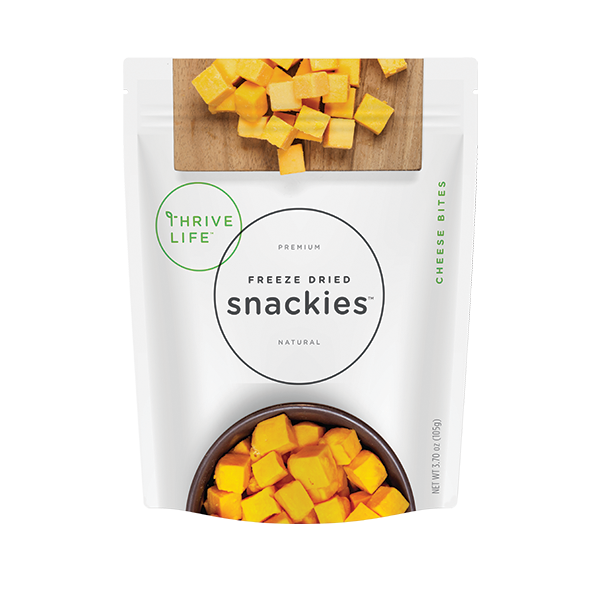 Creamy cheddar cheese diced and crunchified for the perfect poppable snack. No fridge required! We do not recommend the Cheddar Bites to babies or children under the age of four due to a potential choking hazard. PASTEURIZED MILK, CHEESE CULTURES, SALT, ENZYMES & ANNATTO (NATURAL VEGETABLE COLOR).